Where can I return my container? 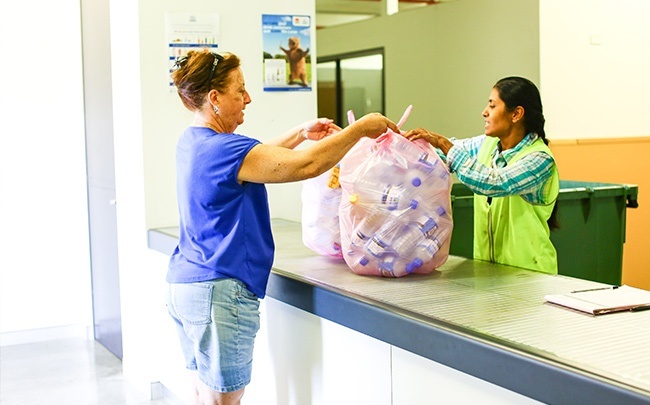 Do you have eligible drink containers – bottles, cans or cartons – you’d like to return? 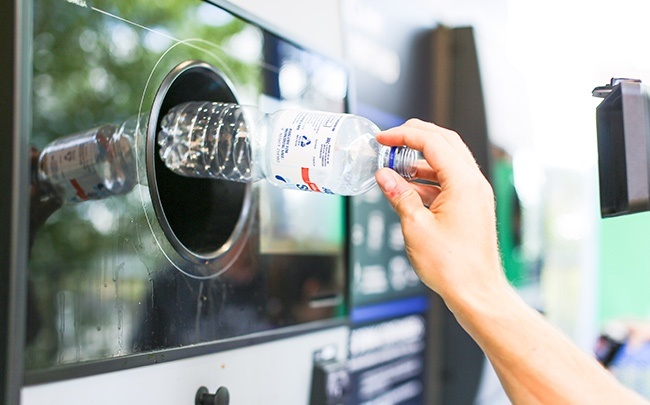 Bring them to one of our convenient return points such as an Reverse Vending Machine (RVM), an Over the Counter Site (OTC), Automated Depots (AD) or a Donation Station. There are many RVMs across NSW and more are opening all the time. The self service machines provide a great way to return smaller quantities of containers, up to 500 in any one transaction. Receive your refund directly into your registered PayPal account via the myTOMRA app. You can then use your refund for future PayPal purchases or transfer it to your bank account. Receive a retail voucher to spend or swap for cash at participating retailer. Donate directly to a selected charity. Store your eligible containers in a large reusable bag or container. You can find more about eligible containers by using our eligibility tool. Empty all liquids from eligible containers. It is preferable to dispose of loose bottle lids. Separate your plastic and glass containers to help save time at the RVM. Set aside ineligible containers and boxes for kerbside recycling at home. You can locate your nearest or preferred return point here. If you wish to redeem electronically at the RVM, download and sign up to the myTOMRA App, and connect your PayPal account. You can also locate your closest RVM using the myTOMRA App and check its live status. Return your plastic containers into the plastic chute and glass containers into the glass chute. Remember to take your reusable bag with you and place any litter into the bin. ADs are our staffed bulk container return centres. ADs can process any number of containers but is the best type of return point for returning larger volumes, 500+. ADs issue cash refunds and some will provide an electronic transfer. 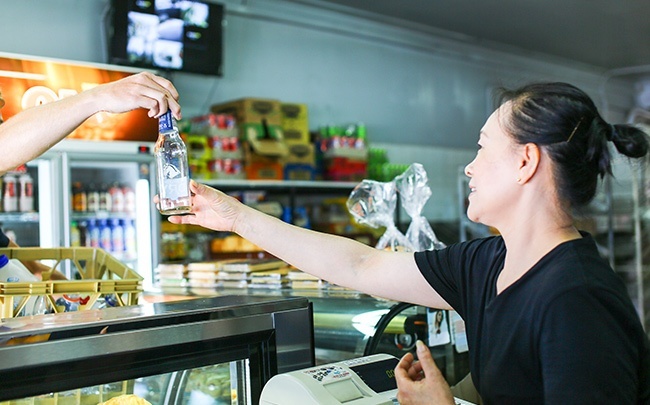 These are local businesses, such as corner stores and newsagencies, participating in Return and Earn. OTCs accept small quantities (usually less than 100) of eligible containers over the counter in return for a cash refund. If you’re interested in hosting an RVM, AD or becoming an OTC partner you can find more information here. What is a return point? A return point is a place where you can return your eligible containers. 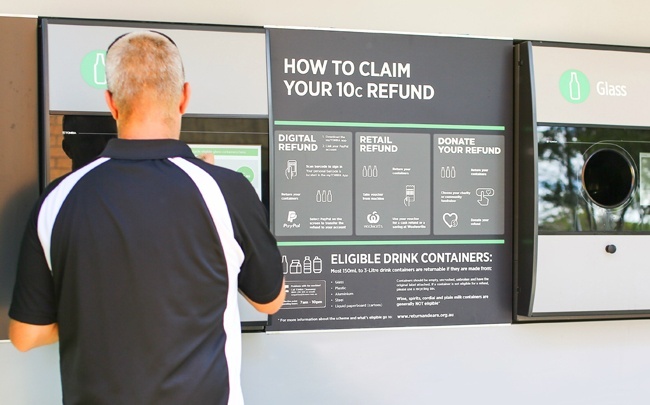 A return point is either a Reverse Vending Machine, Automated Depot, an Over the Counter site or a Donation Station. You can find detailed information about each of these return points here. How many return points are there across NSW? In August 2018, there are over 660 return points across NSW, and more are rolling out each week. Keep an eye on the website homepage counter for the latest number of return points. Where do I take the drink containers once we’ve collected them? There are several different return point types – Reverse Vending Machines, Automated Depots, Over the Counter sites and Donation Stations. Search on the website for the closest return point convenient to you. A Reverse Vending Machine is the opposite of a drink dispensing machine. Donate your refund to a charity, school, sports club or community group featured on the Reverse Vending Machine. Reverse Vending Machines do not hold cash. Can I find out if a Reverse Vending Machine is open or full before I visit the site? Yes, search on the website for the Reverse Vending Machine you’re interested in and all the details on its current status – whether it’s full or nearly full – will be shown. You can also download the myTOMRA app from Google Play or iTunes App Stores to see live, how full a machine is to help you plan your trip. More information and links to download the myTOMRA app can be found here.